I was keen on exploring ZEE5. To my amaze, I stumbled upon this new show called, ‘Lockdown’, a ZEE5 Original. This is a musical show, which has an extraordinary concept that rules out the stereotypical concept of music shows. It features various artists, both from Bollywood as well as digital who join hands to recreate 2 songs. The challenge is that the songs have to be created within a span of 24 hours. The first episode has rapper Badshah and singer Jonita Gandhi who come together in the beautiful town of Chandigarh and create a new version of the song ‘Tip Tip Barsa Paani’ and ‘Kala Jora’, which is a Punjabi folk song. The second episode featured Kailash Kher and Raja Kumari, who in the town of Dharamshala, Himachal Pradesh crafted a new version of two songs with their talent. Episode 3 features Benny Dayal and Bryden and Parth, who follow the same concept of coming together and crafting a beautiful melody for the audiences. They are amongst the beautiful beaches and bylanes of Goa. Apart from the limited time frame given to the artists to create the song, another tough challenge is for them to choose the right song. But what marveled me was their unique way of choosing the right songs through a little game they play. They chose Gilheriyaan from Dangal and Gulaabo from Shaandaar to recreate with their magic touch. The entire idea of this show focuses on the fact that the artists have to seek inspiration from the exotic locales that they visit and recreate the melodies, making it completely different from the already existing one. If you want to watch something interesting then this show on ZEE5 is a perfect mood lifter for you, especially after a tiring day. 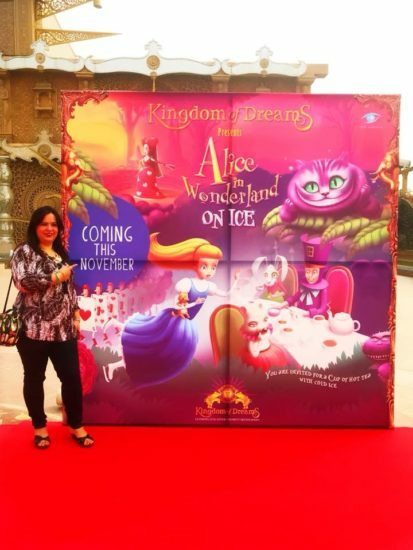 Kingdom of Dream Launches New Shows…!! Kingdom of Dreams, the first to introduce a unique, Broadway style theatre in the country are now taking it a step ahead. KoD has now added four new shows to their schedule, which are performed on ice. 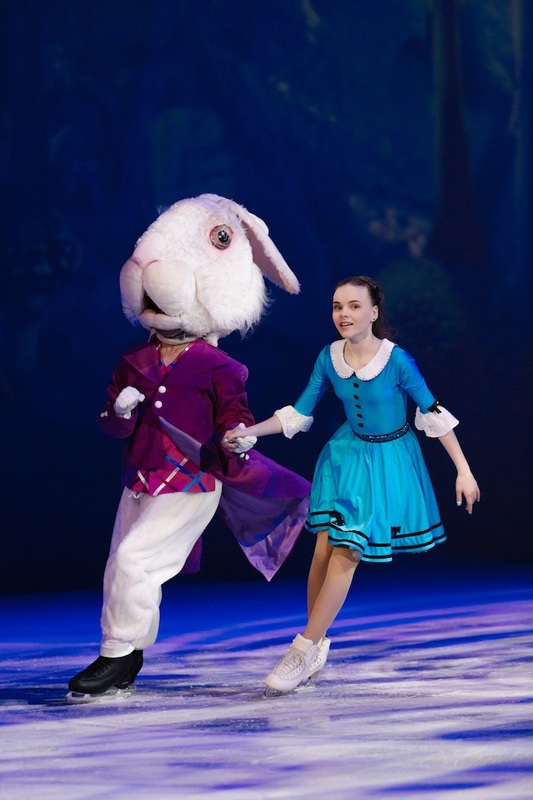 Called ‘Theatre on Ice’, the first performance is on the childhood fantasy tale, Alice in Wonderland. 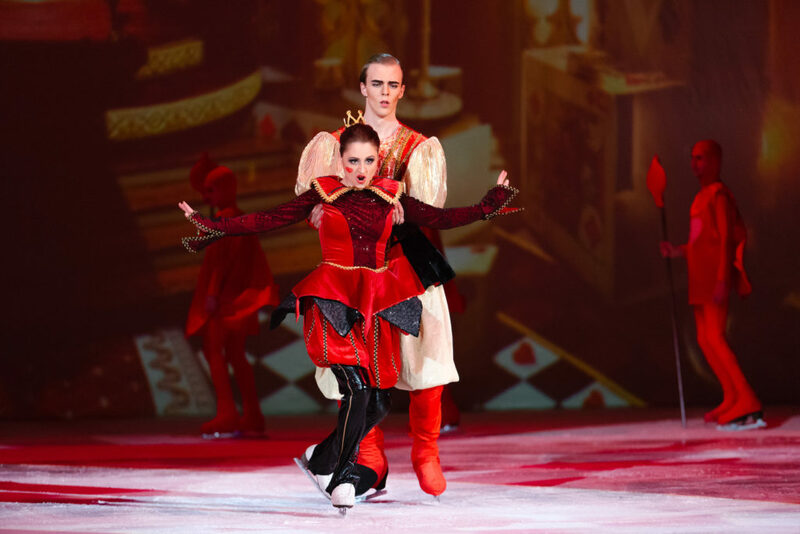 Ice Vision, a troupe from St. Petersburg, Russia, is bringing the theatrical extravaganza to life. 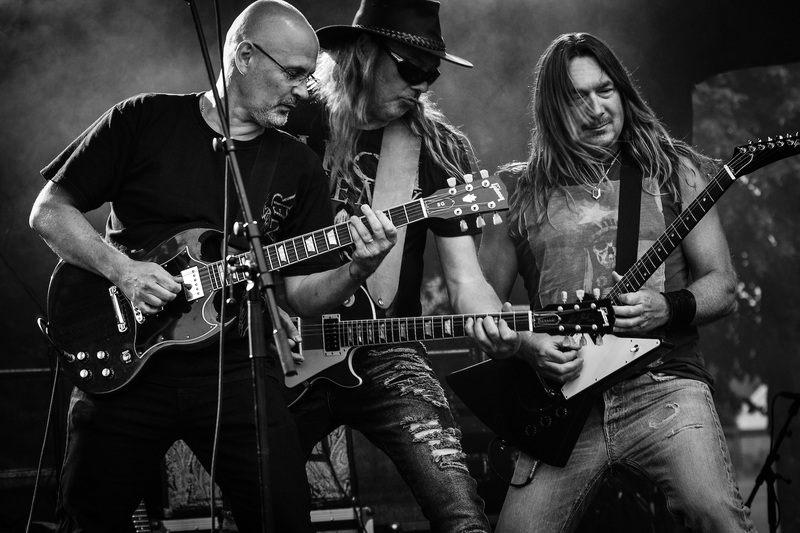 Ice Vision is famous for their unique style of performance and has worked with leading music composers like Gennadiy Gladkov and Alexsey Rybinkov. The troupe consists of more than 25 actors and stars, known world-wide like Alexey Urmanov, Irina Slutskaya etc. We caught a preview of this musical extravaganza, and have to say that the performances, the choreography, the graphics and the way entire show was put up demands an applause. The hardworking that has gone into making it a success is evident when you see the show. 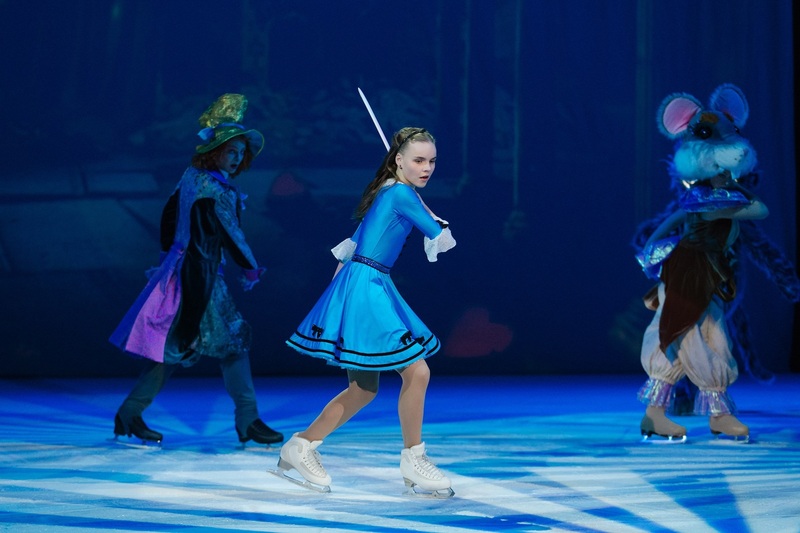 The entire show is performed on ice where in the artists are wearing ice skates. 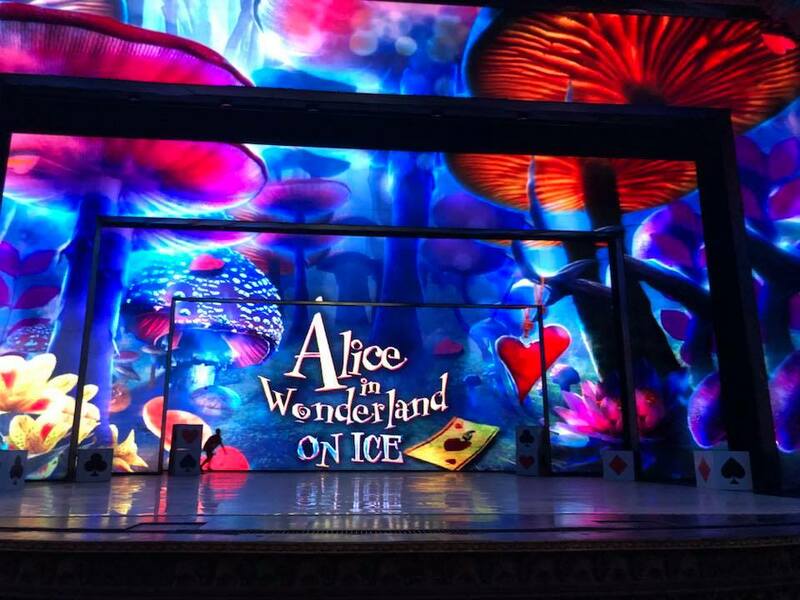 Wearing ice skates, and gliding on the snow as they act and dance in itself is a treat to watch.With a healthy mix of projections and props, the performers told us the tale of Alice and her adventures in Wonderland. The troupe will also perform 3 other stories namely, ‘Dracula – The story of eternal love’ , ‘Arabian Nights’ and ‘Nutcracker and lord of the darkness’. “We always give our audiences something unique and artistic. The Theatre on Ice is another one of our attempts to live up to our reputation off being pioneers in promoting Broadway style shows,” Sharma added. Speaking about the performance, a member of Ice Vision said ‘ We are excited and thrilled to perform in India and looking forward to an amazing experience. We have performed in a lot of countries but never in India before. We hope we get a great response from the audience and look forward to receiving some great Indian hospitality”. These shows will be added to the current schedule of Kingdom of Dreams. 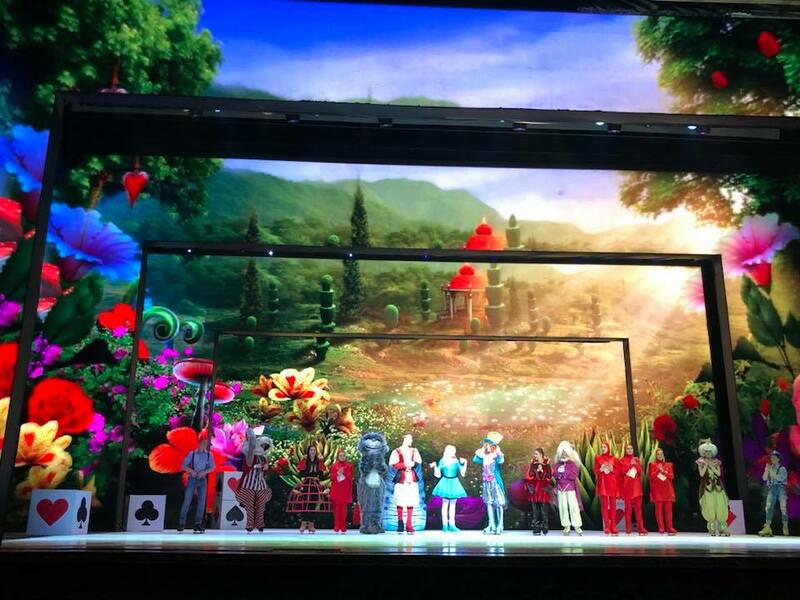 Zangoora and Jumbo will continue to be performed. 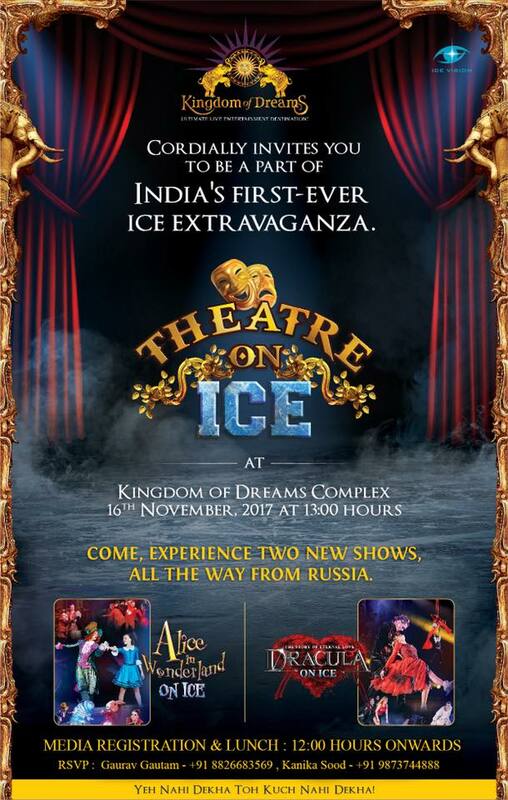 The Theatre on Ice shows will be performed only for a limited period at the Nautanki Mahal. So please make the most of it while it snows.. don’t forget to watch these timeless tales in a new avatar and enjoy these moments with family and friends. Posted in Art & Culture, Entertainment, Events & Happenings, Lifestyle, TheatreTagged Alice in Wonderland, Best Entertainment Blog, Best Lifestyle Blog, Entertainment, Entertainment Blog, Events & Happenings, Ice Theatre, Kingdom of Dreams, Latest Happenings, Latest News, Lifestyle, Lifestyle Blog, Lifestyle Blogger, Musical Shows, New Shows, Show Launch, Theatre, Theatre on Ice, Theatre Shows, Things to do in Delhi, Things To Do In GurgaonLeave a Comment on Kingdom of Dream Launches New Shows…!! Music for me is something that soothes my soul, it sets me free, lifts up my mood and helps me unwind in the most relaxing manner. 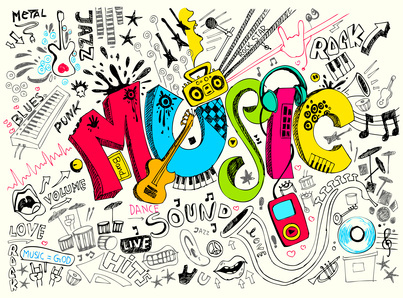 Music doesn’t provide just entertainment, but also has lots of positive effects on our health. I came across this wonderful article on Music for Well Being: 11 Positive Effects of Music on Health. 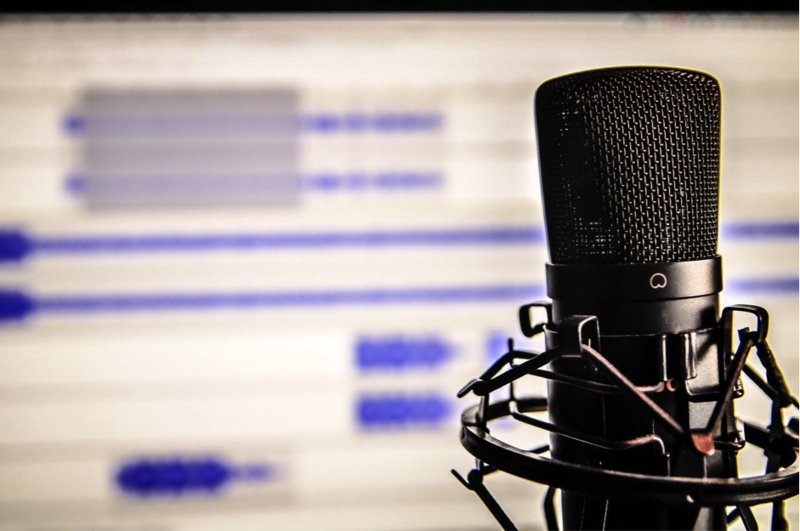 Podcasts can be considered another type of blogging, and can be just as full time. Everyone can make their own podcasts nowadays about anything they love or find interesting. Yet even when you’re blogging you’re going to need some essential equipment, so it’s the same for going bigger with your recording activities. It can often feel like a closer way of interacting with your audience, and your friends and family as well as you can invite on special guests. So feel free to run your own podcast, but what technology do you need to record and edit your own audio show? If your computer comes with a built in microphone, you can use that to start off with. However, if you want something more durable and long term, USB microphones make the whole recording loop a lot easier to monitor. This is because you’ll often be able to see the sound levels in wave format on your screen. If you need some comparisons for the best models, look here, and keep an eye out for entry level microphones as they’ll be best to start and get to grips with. Microphones don’t have to be necessarily complicated however, but are a little bit of an investment so it’s good to know what you’re buying. Use your own computer or have an external method of recording. It’s often easier to just use your computer’s built in software if you have nothing else and want to get started straightaway. However, this does mean your files will be harder to find and more easily corrupted as computers are not specialised for this activity long term. Invest in an external device if you want to try making a podcast long term. These devices will keep your files safe in a format that’s ready to edit, like a WAV. file. They also won’t corrupt your data with trying to store it in a compatible way after being recorded. Editing software can be found at many places across the web, but make sure you’re downloading a safe file, and that your software is easy for you to use. You could try something like audacity, which is easy to get to grips with and is completely free. If you’re confident with what you do, you can use a mixer for your post production effects. These can be used to make a show intro if you’re so inclined, and can create some special effects if you have a themed show or want to dabble in the art of audio mixing. Creating your own podcast couldn’t be easier with the modern world. Everyone can be their own mini celebrity with online culture, and as long as you have a few listeners you’re in business and everyone can make their own podcasts nowadays about anything they love or find interesting, especially with the help of Music Critic’s Top 10 Best DAW Recording Software of 2018 review for new software for recording! Of course it can always be done for yourself, as it’s another blogging platform, and is a good way to express your creative freedom. 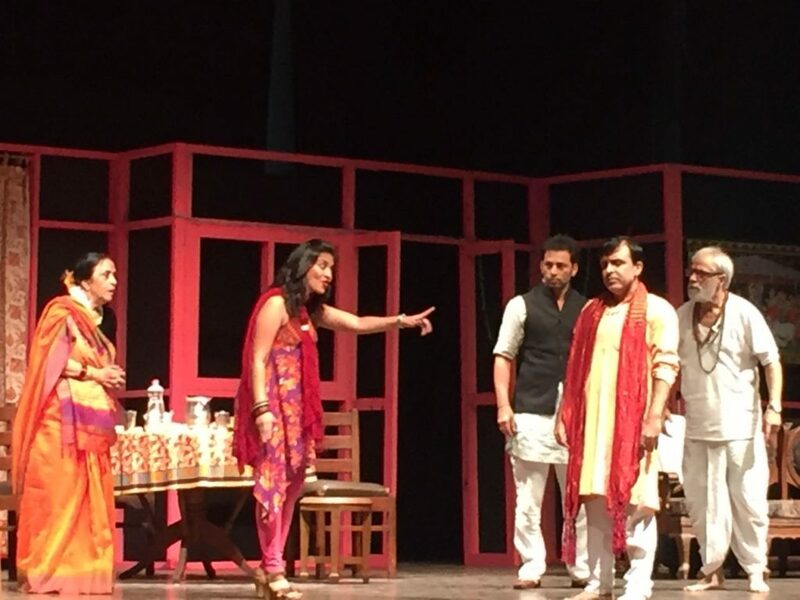 Namaste Jaishree Krishna- A hilarious play on old gen vs new gen conflicts! 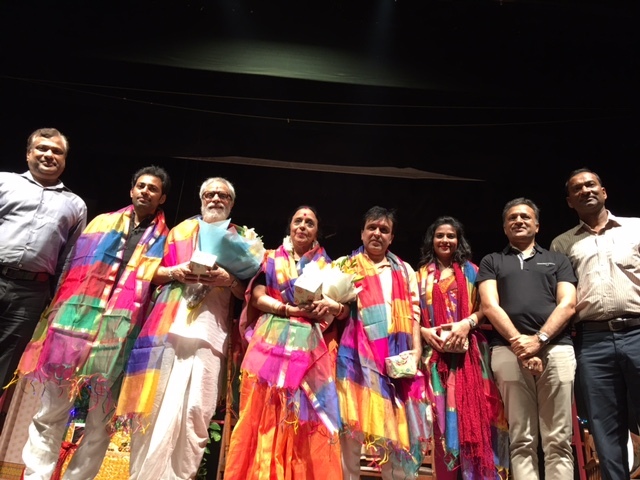 Pelican Entertainment brought to the city the play, Namaste Jai Shree Krishna on 02.09.17 at the Pearey Lal Bhawan, New Delhi. 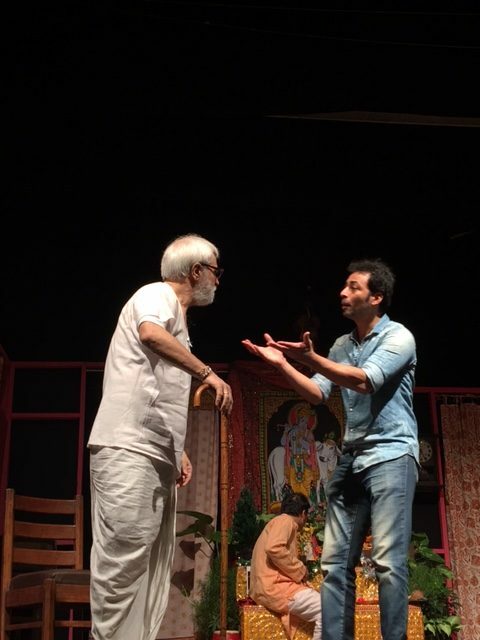 The play directed by veteran theatre and movie artist K K Raina who also enacts along with the irrepressible Ila Arun and ably supported by Aditi Sharma, Ashutosh Pandit and Abhishek Pandey is a hilarious take on the conflict between old traditions and the emerging values of the new generation. It takes you skillfully and humorously through the continuous conflict of the old and the new. It takes you through the journey of the youth not ready to accept old ideologies readily and the old not accepting the progressive view point of the youth. The play takes you through a gamut of emotions from philosophy to humor to laughter to sadness and nostalgic at times. The cast deserves a special applaud for bringing on each and every emotion beautifully across. A really rivetting play which makes you laugh and think at the same time. And the best part is that you just can’t stop applauding. A treat for the theater lover. Not to be missed at any cost. Posted in Entertainment, TheatreTagged Delhi Events, Delhi Theatre, Entertainment, Entertainment Blog, Entertainment Blogger, Events & Happenings, Latest Happenings, Lifestyle Blog, Lifestyle Blogger, Play, Play Review, Theatre, Theatre Diaries, Things to See, What to SeeLeave a Comment on Namaste Jaishree Krishna- A hilarious play on old gen vs new gen conflicts! Moving to a new location or starting a job is never easy in the first place, but one of the more challenging aspects of this is making new friends in your area. You might have met them at your new working area, in your apartment complex or when experiencing a random and strange event occur at a supermarket. No matter how you came together, what is important is that you did. Not everyone is a social butterfly, and for some people, these questions pose genuine and significant worries. First impressions matter, and being rejected by someone after a first meeting is a real and justifiable fear people hold. You shouldn’t fear, though. With the following tips, any person worth knowing will react well to these post-dinner entertainments. Deep conversation is maybe to be discouraged with new guests, but it isn’t to be prevented entirely. If the topic heads that way, let it. People who hold naturally opposing viewpoints should be able to discuss them with grace and decorum. If the person you’re hosting can’t do this alongside you, then that person isn’t worth knowing in the first place. Often the unlikeliest couplings form the strongest friendships, so don’t be afraid to disagree with your guests. Just be respectful of their opinion. Alcohol can help you overcome the initial social inhibitions and allow the conversation to move freely. It can also allow a vast majority of people to feel comfortable in their skin in a new situation. You needn’t spend too much on overpriced liquor, finding alcoholic local store promotions or the best kikori whiskey price can allow you to host cheaply, but with quality drinks worth drinking. For the uninitiated, this might seem silly. Surely board games or party games are more sociable? It all depends on what game you play. There are many party games available for groups of people, and you might just have a more fun and reactive experience this way. How else could you get in a competitive game of bowling, a boxing match and a quiz all in one room? Music allows you to set the tone of the evening, even if this is in more of a subtle way. Slow, gentle music promotes unwinding, while happy, upbeat music brings an energetic vibe to your entertaining. It all depends on the hour of your relaxing with your new friends, and how you assess their temperament. Include everyone, ask questions, and be sure to hold a genuine interest in your new potential friends, and you might just make reliable contacts for the years to come. The stage, the camera and the mic have been familiar territory for Aadar Malik from an early age of seven. And today, as he is one shy from thirty, he has accomplished more than most performing artistes could ever imagine in their entire career. Actor, musician, singer and stand-up comedian, Aadar is a one man army who thinks of the stage as his second home. One of the country’s most sought after stand-up comedians; he has performed in multiple cities in front of packed audiences of all age groups curating his content that has them in splits. His satirical song about his pet goat won the bronze medal at the Worldwide Comedy Short Film Festival in London. Besides his solo performances, he is also a part of the comedy ensemble SnG Comedy that have together performed enumerable improvisational comedy and stand-up comedy shows. They are a regular at The Comedy Story, Laugh Factory in Mumbai. One of the country’s most popular YouTuber, Aadar’s original comedy ranges from music/ parodies, satirical sketch comedy to live stand-up comedy videos. With over a million views on most of his digital content, his fan base ranges from teenagers to grannies – something that Aadar didn’t expect. Little did he know, everyone loves to laugh and he has his way of hitting the right chord with every age bracket! A trained singer from Trinity College, London, Aadar also plays the guitar and the piano with equal finesse. And this year, Aadar brings all forms on talent on a single platform is a one man musical comedy show, The Sound of Comedy will showcase him singing live (lyrics that are comic in nature), playing the grand piano (yes you read that right) amongst other musical instruments and will entertain the audience like never before. This is the first of its kind show in India. Stand up – The Musical is also a part of Amazon Prime’s Comedy Special from India! Aadar: It’s the first time someone has tried to blend music and comedy to this degree. It’s my songs, they are stupid songs with foolish lyrics, tedha hai par mera hai. Musical standup comedy is an extremely new concept here and I’m trying my best to make the audience ease into the fact that this can exist. Full fledged songs that are not parodies can be funny, and be musically impressive. Aadar: I trained at music for a very long time. But I had severe stage fright, I took and acting class to get over it and realized I’m better at this. I was playing a standup comedian in a play and that character has since been in development. He is tweaked and changed after every show and every video. I may never be satisfied with him. I have finally become and Indian parent. Aadar: Yes last week was particularly tough. It’s still a struggle. No magic has happened. We do not live in mansions and bathe in gold. I’m very thankful that when my parents are asked what their son does for a living, they don’t have to explain the origin of standup comedy to neighbors. Aadar: This might just be the worst show I will perform, but its ok. No! thats a lie, I can’t afford the worst show ever, it’ll destroy years of work. So you better make it good. That’s enough to psyche the hell out of anyone. Ikreate: How much of your show is a preparation, and how much is spontaneous. 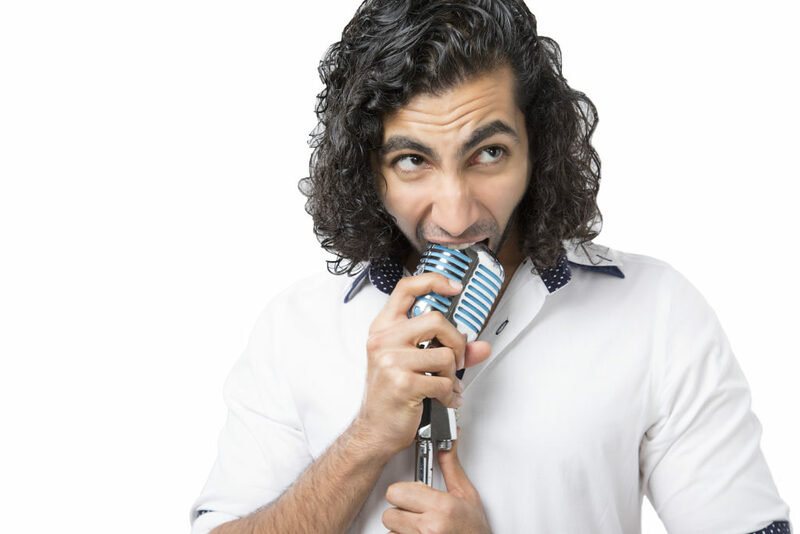 Aadar: I like to write every word perfectly and then improvise on stage. But then there are the days when you just go, why not and walk on stage with just an idea. It changes from show to show. Now I do complete shows that are improvised. 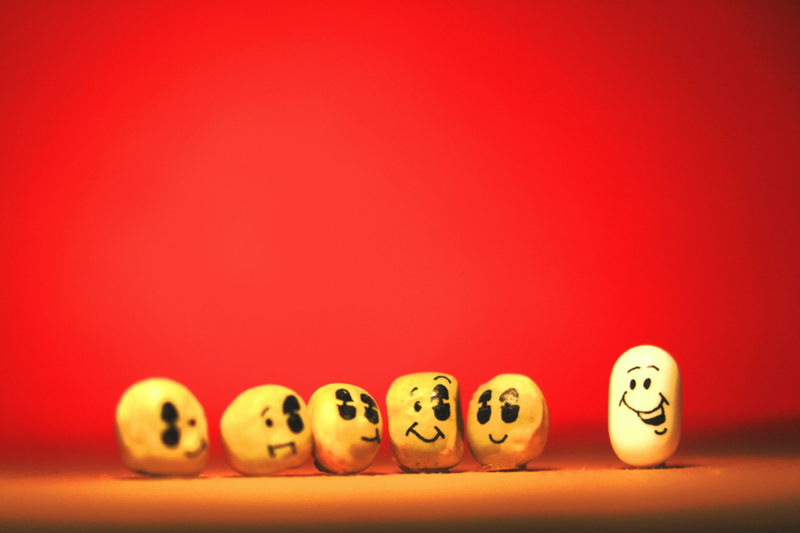 Ikreate: Have you faced criticism, how have you dealt with it. Aadar: They didn’t know what I was doing until they saw me on stage. My father still doesn’t. His opinion is, if the audience is liking, it you’ll be alright. My mom is like a real Indian mom, my son is doing good whatever it is. Aadar: My family is both. Anyone else can take a hike. Aadar: If I do my job right? Jail. Aadar: The first time I managed to get an applause break. I’d had plenty of those while performing plays, but this one was all mine. Written by me, performed by me. It was an open mic at a tiny restaurant. And another comedian won. But I went back home with a career. I really don’t know what happened to the other comic. He had a lot of friends in the crowd that night maybe he still entertains them at the office water cooler. Aadar: I have honestly never been embarrassed at a show. Ever. I honestly leave shame backstage when I go up. Once a guy called me ISIS at a show because I made some inter-caste jokes. That’s when a comic of one religion makes jokes about all religions. He was the embarrassed party that night. His fiancée broke up with him that night. More power to her. Aadar: Stop reading inspiring messages and go practice. Aadar: Performing for a bunch of drunk corporates where they broke up my 30 min set into 3 parts and had Russian dancers in between my bits. It was so bad that the Russian dancers who didn’t know English were consoling me by the end of the gig. I got two of their phone numbers. But it was in Russian. Ikreate: When you are not performing, you are…? And here are some of his acts for you to enjoy! Thanks Aadar for taking time out and having a great conversation with us, wishing you all the luck for your future endeavours! Red Hot chili Peppers to play in India – Let’s make it happen! How many times has it happened that we’ve madly hoped, prayed, for our favorite international artist or band to perform in India? How many times has it materialized ? How many times do concerts cancel right before the event date? Remember the cancellation of Bryan Adams event in Delhi back in year 2011, Korn in Mumbai was cancelled in 2012, David Guetta in Bengaluru in 2017? None were cancelled because tickets were not sold. Various realities have scared Indian Music promoters from taking risks and bringing India’s favorite International artists to perform live. Wanting to make a dream come true, to watch a favourite international artist in India, made two veteran entrepreneurs and music lovers, Kabir Bhasin (co-founder of Furlenco) and Kanishka Sharma (Ex-Flipkart), come up with an idea. This idea is called Fanagig. The idea is simple. If they themselves are willing to pay to watch their favourite band perform in India, then there must be a few thousand more that would put money down for the same band? If yes, then the concept Fan-A-Gig will be a break through platform to revolutionize the whole live music scene in India! 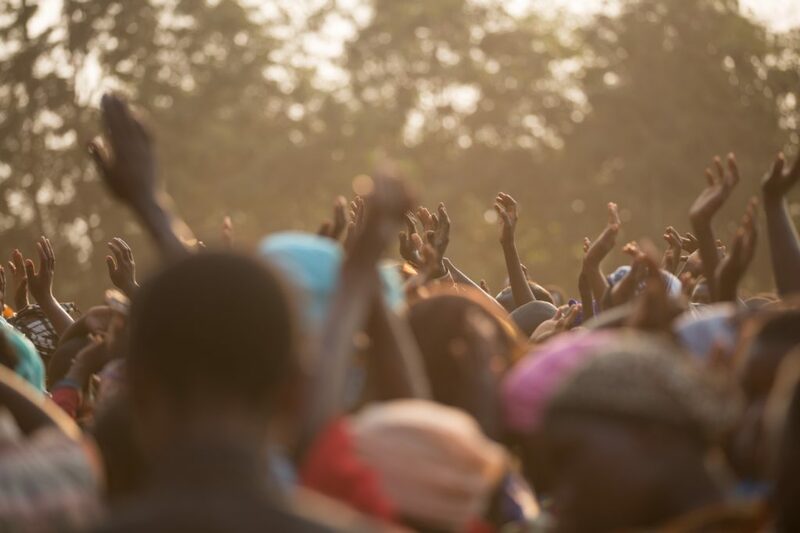 Prerequisite: You are a fan of live music. All you have to do is go to www.fanagig.com, browse existing campaigns and vote for the one (or more) bands you love. Your support, your vote, will go a long way in making the dream come true. Votes must reach the goal before Fanagig will take the next step. If your favorite artist is not in the on-going campaign list, then Fan-A-Gig gives you an option to create your own campaign. Share campaigns through your social media, get other fans to vote and watch the magic happen. Once there are sufficient votes, Fan-A-Gig then does the rest of the work for you. After that, all you have to do is pay for your ticket and pack your bag for the concert of your dreams! Sign up for the cause! Bring the revolution! Let’s make a change! Let’s spread the word and make sure every Indian fan gets the chance of enjoying their artist perform live . And wait, we are not just talking about big international bands like Red Hot Chili Peppers, Black Eyed Peas or The Cranberries but also great Indian bands like Indus Creed, Parikrama, Raftaar or Badshah! Since it’s about music, there are no boundaries of genres. There is something for every fan. All you need to do is sign up or run a campaign and get this going. Posted in Art & Culture, EntertainmentTagged Artist, Best Entertainment Blog, Entertainment, Entertainment Blog, Entertainment Blogger, Music, Music App, Music Blog, Music Blogger, Music Shows, Musical Concert, New Website, WebsiteLeave a Comment on Red Hot chili Peppers to play in India – Let’s make it happen! Navrasa Duende, decoded means Navrasa, the nine rasas of art and Duende the quality of passion and inspiration. Holds true for their Founder Dinesh B.Singh who is a veteran in the business arena and a true patron of art in ant form. His undying love for arts led him to the concept of Navrasa Duende and his never ending urge not only to follow art but also to bring it for the Global audience to partake and experience the various forms of art from across the Globe. It is his endeavor to promote commercial and niche arts from around the world. Navrasa Duende being the first step in this direction. Recently Navrasa Duende organised a classic movies festival where in classics by two famous directors of that time were shown. The chosen directors were Alfred Hitchcock and Frank Capra. It was a two day festival and each day, one movie of each directors was shown. I chose the first day of the festival and also the first film, The Man Who Knew Too Much by Alfred Hitchcock. It truly was a trip down the memory lane. Such a pleasant experience witnessing old time classics. The beauty about the movie was its surprising repeat value much appreciated by the audiences present. A really commendable effort by Navrasa Duende, who have lots more to offer in the near future. One of the most promising upcoming venture by Navrasa Duende is the Global Carnival, an amalgamation of Dance, Theatre, Visual Arts, Music, Fashion and much more. I am really looking forward to this one. Stat tuned on their Facebook page to get regular updates of events organised by them. All the best wishes to team Navrasa Duende may they succeed in this most wonderful endeavor and bring the best of Global talent for the art lovers. Now, get a chance to be styled by Neha Sharma, lead actress of the much awaited romantic drama film – Tum Bin II. All you need to do is to tell Bollywoo.ooo about what you can’t live without! Follow the simple steps below and get a chance to be one of the lucky winners to meet and get styled by Neha Sharma! The contest is now live and will be open for participations till November 15, 2016. So, get your phones and record your Tum Bin moments now!! Catch all this action and much more on our Facebook and Instagram and you never know when your luck strikes..!! BollyWoo.ooo, a venture by Dreamworld Digital Shoping Pvt. Ltd., is an e-commerce enterprise dedicated to bring Bollywood fashion and trends to the star struck, fashion conscious audience. As a brand and a market place, BollyWoo.ooo allows fans, movie enthusiasts and the fashion conscious to live the Bollywood experience through apparels and accessories showcased in films on a digital platform. In an effort to bring the Bollywood fashion to their consumers, BollyWoo offers the latest trendsetting designs from the film world. In other words, the portal provides an opportunity for everyone, to purchase clothes worn by their favourite stars, using the highest quality materials and craftsmanship. Tum Bin 2, a romantic drama film, written and directed by Anubhav Sinha produced by Bhushan Kumar, Krishan Kumar & Anubhav Sinha. The movie stars Aditya Seal, Aashim Gulati and Neha Sharma in the leads. Neha was seen in films like Crook, Youngistaan and Kyaa Super Kool Hain Hum, while, Aditya Seal was last seen in 2014 release Purani Jeans. But he is famous for his role as a the 15-year-old adolescent in Manisha Koirala starrer controversial film Ek Chhotisi Love Story. Ashim Gulati, will make his debut in Bollywood with this film. This blog is a reflection of my personality. 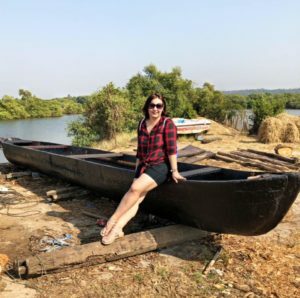 I share various experiences that life throws at me so come and be part of my journey called life, know about the places I travel, the food I eat, the books I read, or the events I attend. Get some tips related to health, beauty, fashion, parenting and a general lifestyle. There is something for everyone and I promise to keep it realistic and interesting every time. Bracelet For Women, How To Choose The Perfect Model? Have You Been To Cuebebar Smokehouse Yet? If Not, You Must! Make your New Year Diet Plan more exciting with these Natural Sweeteners and Drinks! Happy Birthday Shiamak Davar..!! My personalised interview with an ace choreographer..!! Costa Coffee launches ‘Frostino’ in India - a new range of Ice blended drinks launched internationally for the summer of 2016.